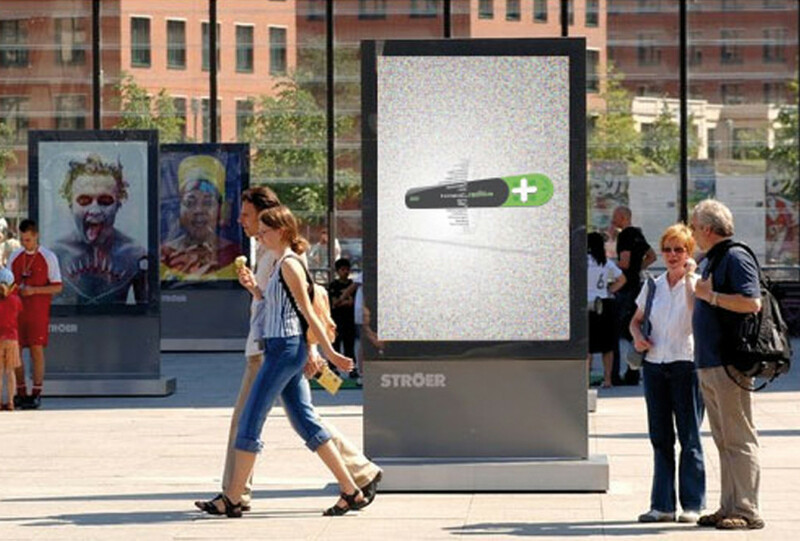 Development of a print advertising campaign that is adaptable to various highlights of the year (e.g. 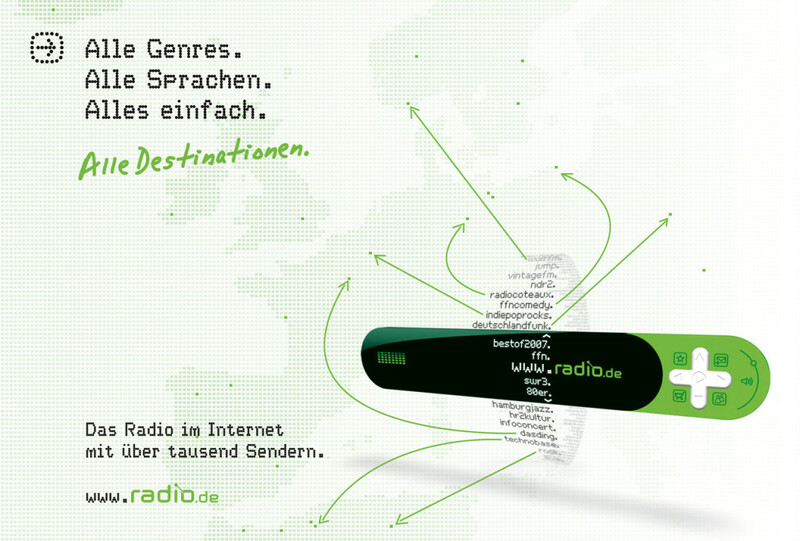 Carneval, Easter, Soccer Worldcup...). 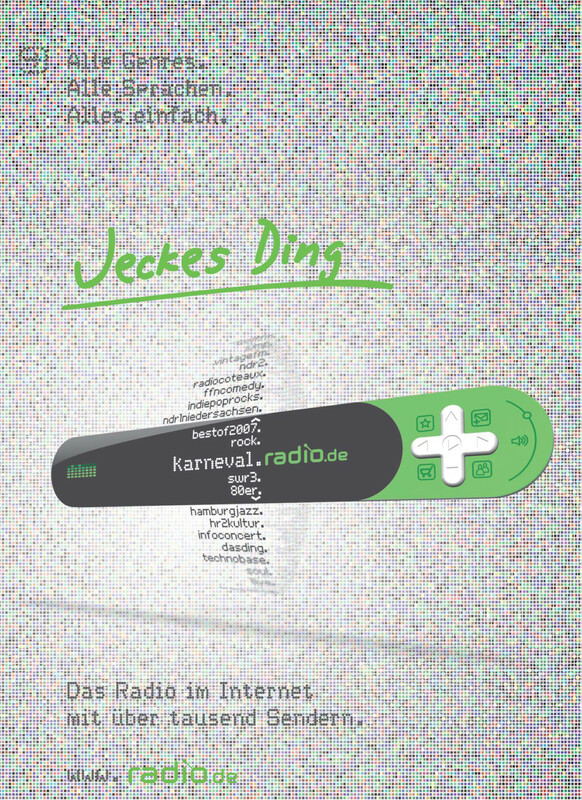 We build the brand key visual, "the online radio player“ together with a 3D animation expert and positioned it as the central point of the ads – the player is the instrument that brings you into all the special and various online channels – the background and handwritten text is the level where we can display the special highlights (e.g. 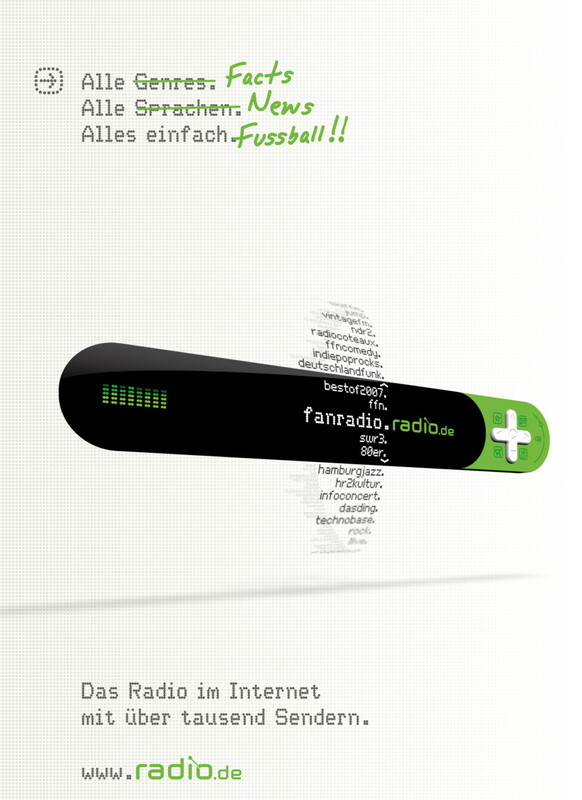 Carneval, Easter, Soccer Worldcup). 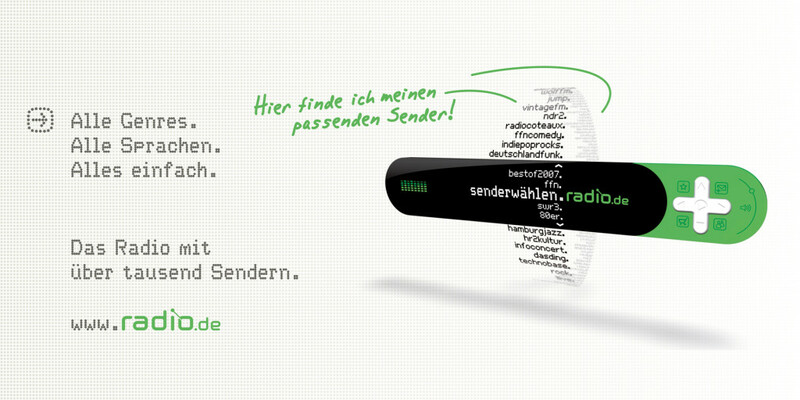 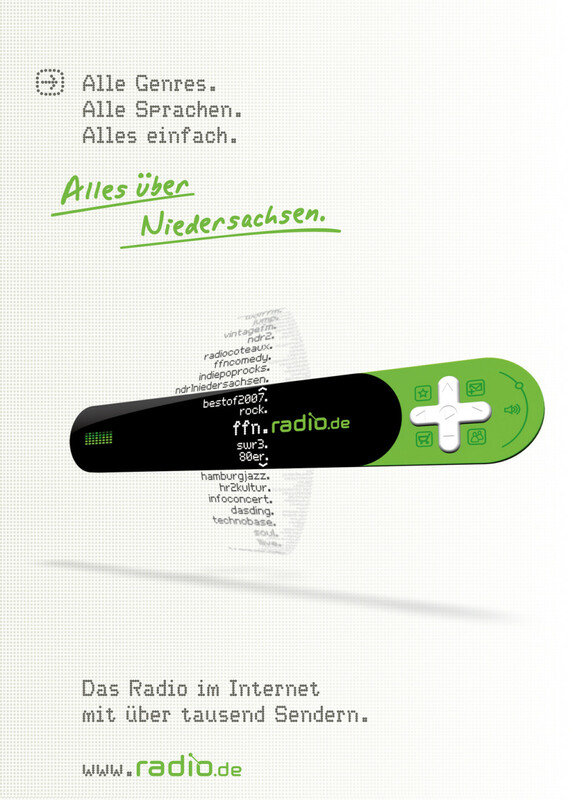 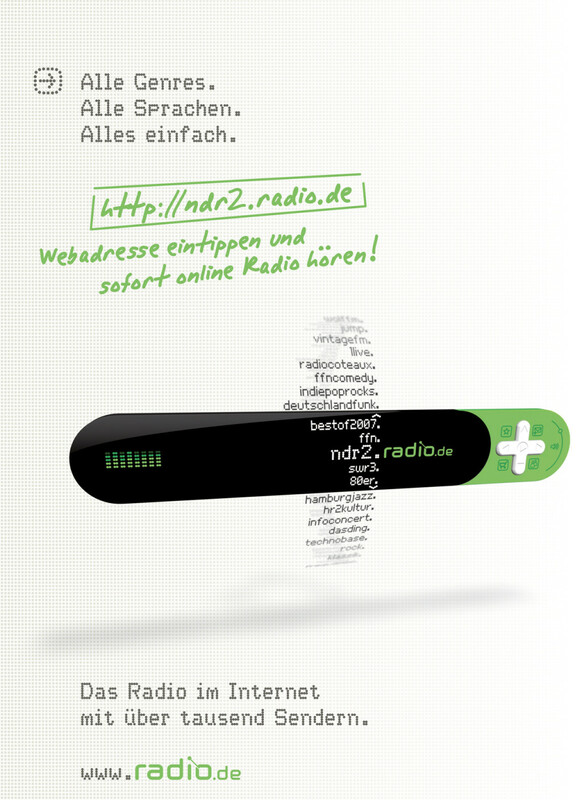 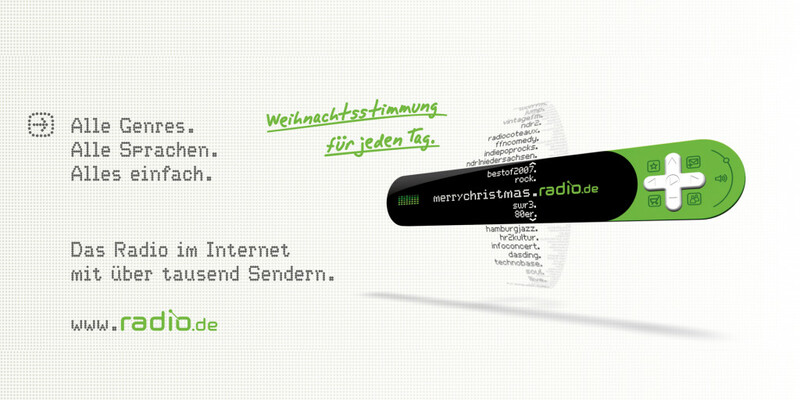 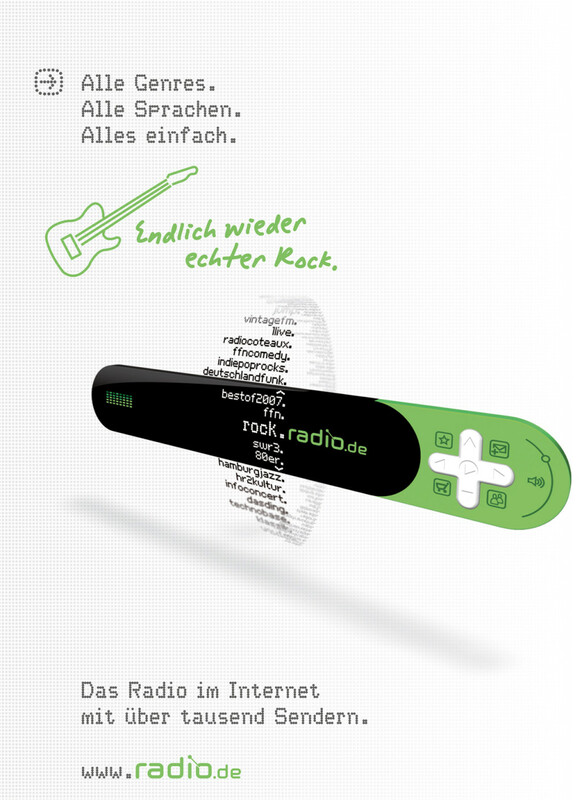 radio.de become the number one online radio channel in Germany.